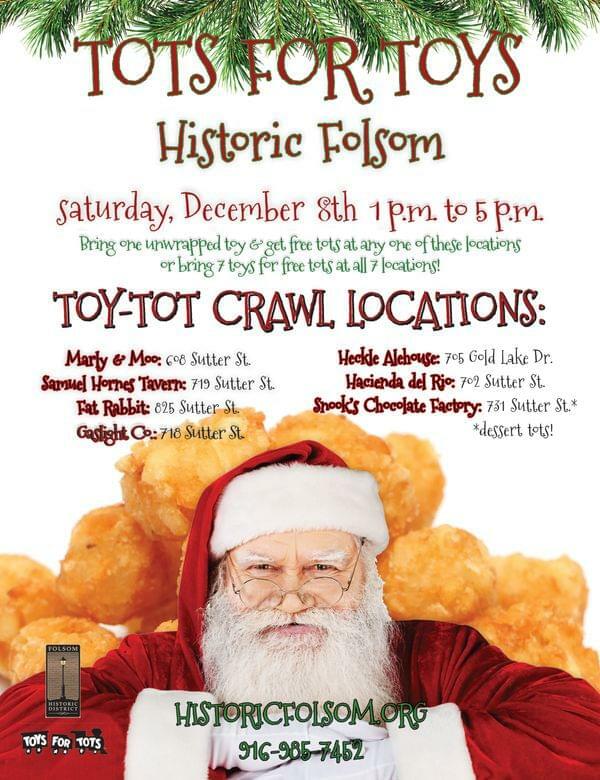 Tots for Toys - Tater Tot Crawl. Bring a new unwrapped toy to any of the locations mentioned below and receive a free order of Tater Tots! Bring 1 toy and get 1 order, or bring 7 toys and get 7 orders of free tater tots! The ultimate karma event!